I have to say I was dreading doing another zoo LO. We go to the zoo quite often and the kids are so cute I just have to snap pictures, but I was running out of ideas. I saw the cutest sketch over at The Scrappiest and knew it would be perfect with these animal pattern papers from Dream Street. This photo worked out perfect for the new challenge at Scrap It Forward to show happy children. How could they not be happier getting to spend the day at the zoo with their cousins, aunt and grandma! 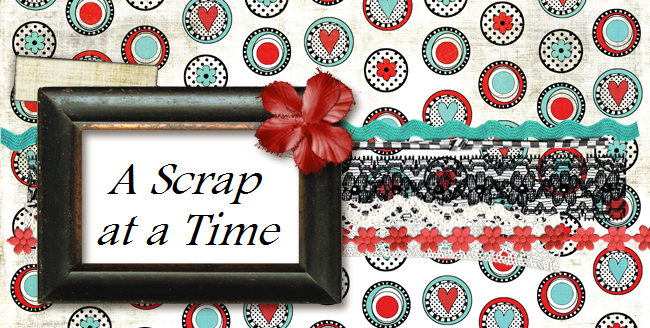 Scrap it Forward is supporting The Ronald McDonald house, so check it out and get those can tops saved up! Just awesome! It totally rocks! I am like you - we are zoo members - and I have so many zoo photos. It is hard to be creative - but this really is a winner - it looks awesome! You're right, this sketch is just perfect with your photo and PP. Great job!! wonderful job! Thanks again for your participation!